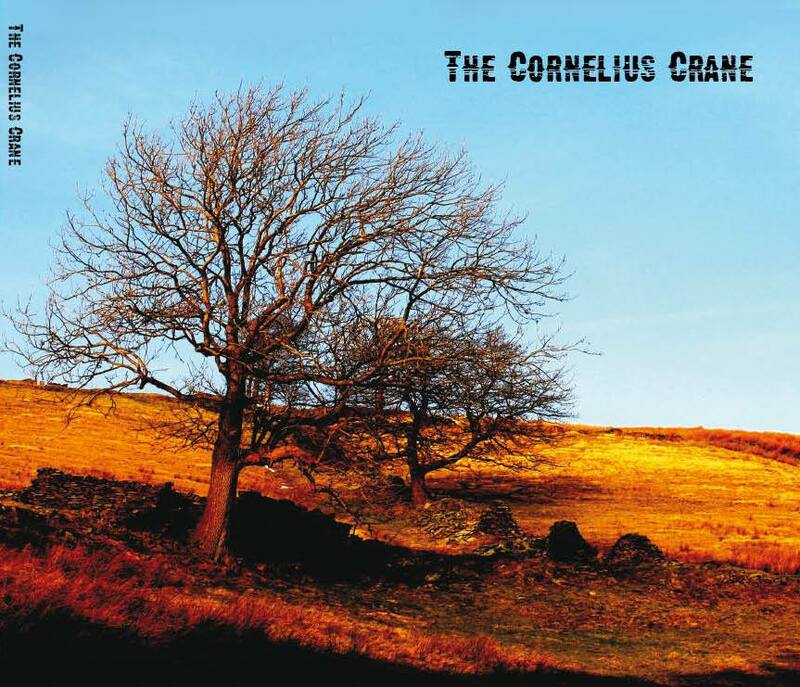 The Cornelius Crane are an alternative Country, Bluegrass, Folk band from Manchester, whose sophisticated and laid-back songs emit a raw Americano/Canadian authenticity likened to Neil Young, Seasick Steve and The Buffalo Springfield. Comprised of Steve Wilson on vocals/guitar/keyboard, Mark Adams on bass/backing vocals, Dan Adams on drums/and Jon Roberts on pedal steel/ guitar and backing vocals, The Cornelius Crane are an impressive band, whose intelligent lyrics evoke feelings of abrasive realism, whilst eloquently presented through a poetic guise. Having released their debut EP, “EP Too” in 2012, The Cornelius Crane are back with a free and easy second EP. Released on the 17th June 2013, the self-titled EP is testament to the band’s high calibre and accomplished musicianship as a band. A more laid-back EP than their predecessor, the EP is an interesting mix of spacious interludes, interchanging and textured riffs, which reinforce the band’s demeanour as an accomplished, jamming-esque live act. With its swirling and plucky riffs, “The Needle and The Gun” slides with a laid-back ambiance, that captures the bluesy essence of the song. It’s a dusky number, whose hazy Hammond shimmers from a distance, whilst harmonising with the array of raw vocals. It’s a song whose sentiments hang by the threshold and intensified through the intricate and up-tempo chorus. Along with the wandering bass and steady beats, “The Needle and The Gun”, spreads its wings through the waves of swirly, chimey and oblique infused riffs. It’s through these guitar interludes that you really appreciate the intricate details of the song and the sheer craftsmanship of the band. With its gentle acoustic riffs and opening ”Oooooooo”, “Silver Tongue of an Actor”, drifts into a musing motif, whose token melancholy is nurtured by the aloof pianos. It’s a breezy number, which sees those shimmery riffs evoke a contemplative dreaminess which ebbs and flows against the drawn out vocals. Although it’s the guitars which lay the bluesy-country foundations, it’s also through the gentle beats and harmonica that “Silver Tongue of an Actor”, incites the Mountain dwellings origins of the song. Lyrically sharp, “Silver Tongue of an Actor” is as comfy as an old pair of slippers, whilst illustrating the band’s skill at upholstering with subtle amounts of emotional depth. Lyrics such as:”Keep it locked up like your favourite toy, don’t let no-one see in, don’t let them destroy with the silver tongue of an actor...” are testament to the band’s originality and undisputed maturity. “The Difference between you and me” is a sublime instrumental track, whose subdued riffs are etched with wistful melancholy. What could be a country western equivalent of Fleetwood Mac’s Albatross, glides and reverberates with its curling riffs and tugging like resistant waves. With the shuffle beats, Hammond and zither drones, “The Difference between you and me”, wallows and slams against the tinkering riffs which take the song towards a pensive horizon, whilst casting shadows by the subtle darkness that lies overhead. With its racy riffs, rattle beats and clashing grasps, “They Talk in Circles”, pulsates with a rigorous energy which jingles and slams against the lagging vocals. It’s an earthbound catharsis, which sees the repetitive lyrics synchronise with the resolute soundscape. Along with the harmonising dual backing vocals and seeping harmonica, “They Talk in Circles” conveys a fleeting melancholy which is soon swept away from the bustling beats. Lyrically succinct, “They Talk in Circles” is a great song which emits a universal realism, without being overly gritty or kitchen-sink.